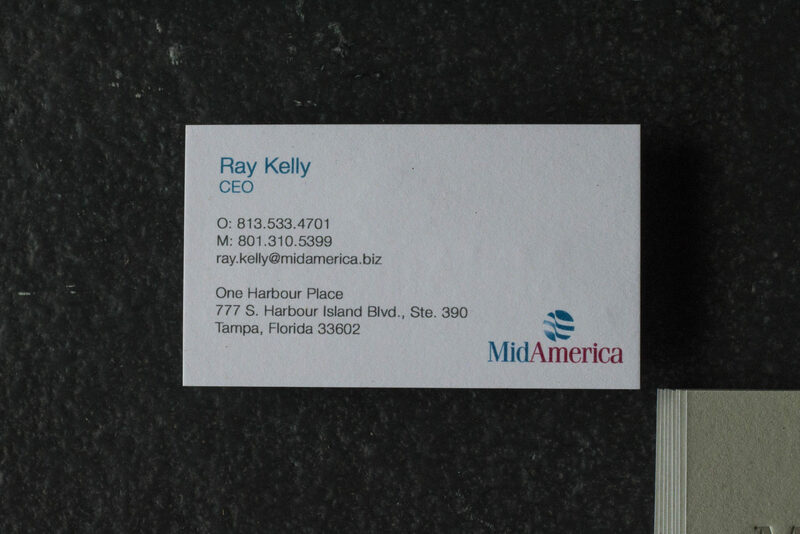 I believe we did just that with MidAmerica’s executive business cards. 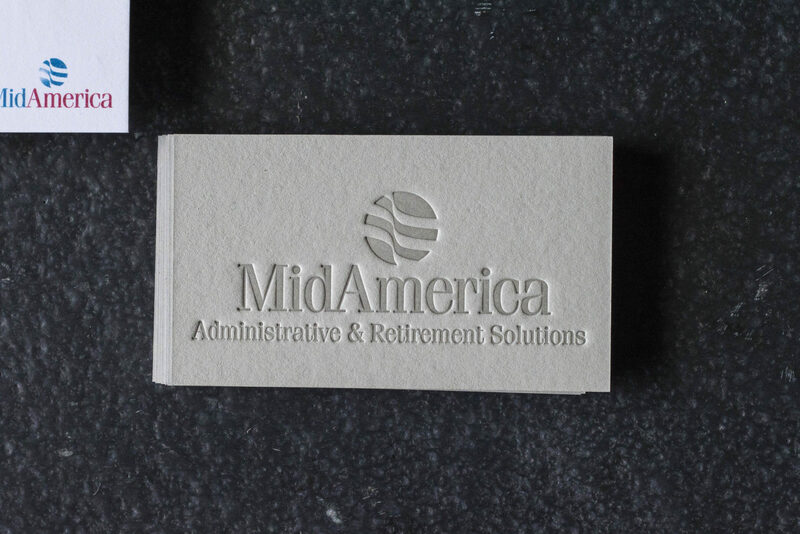 MidAmerica‘s primary spheres of operation are in employee benefits for government, education, and non-profit groups. It’s not a bleeding-edge industry, but the people making big decisions live in the same world as you and I; a modern, attractive business card can resonate in ways the status quo simply misses. That’s where A Fine Press comes in. 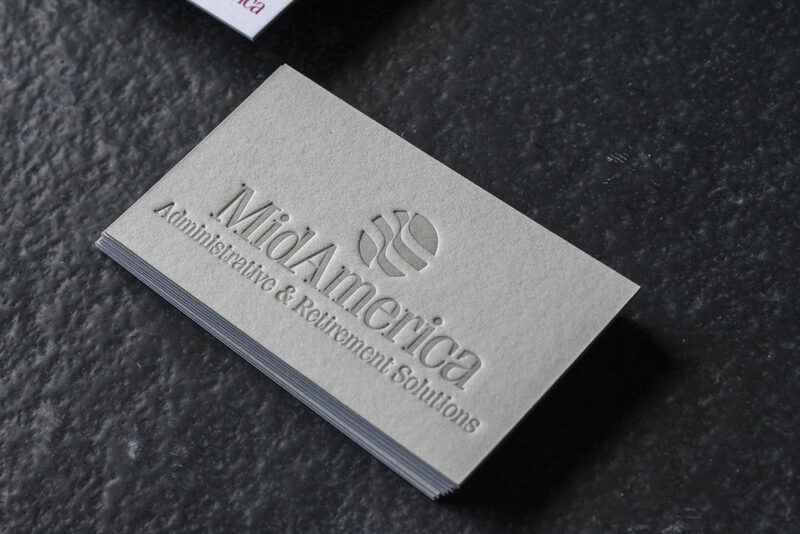 Because we wanted an execution of the MidAmerica logo that included their logo gradient mark, coupled with the fact that we started with ten lots of cards (ten different sets of information), we chose to duplex a digitally-printed white side to a letterpress-printed mid-grey. Colorplan papers provided the base for both sides, 100# and 200# papers combined for a whopping 300# behemoth of a card – very substantial in the bearer’s hand. And for the logo, we opted for a transparent ink to enhance the tone-on-tone characteristics of the deep impression. I think it’s the perfect mix of conservative and forward-thinking. 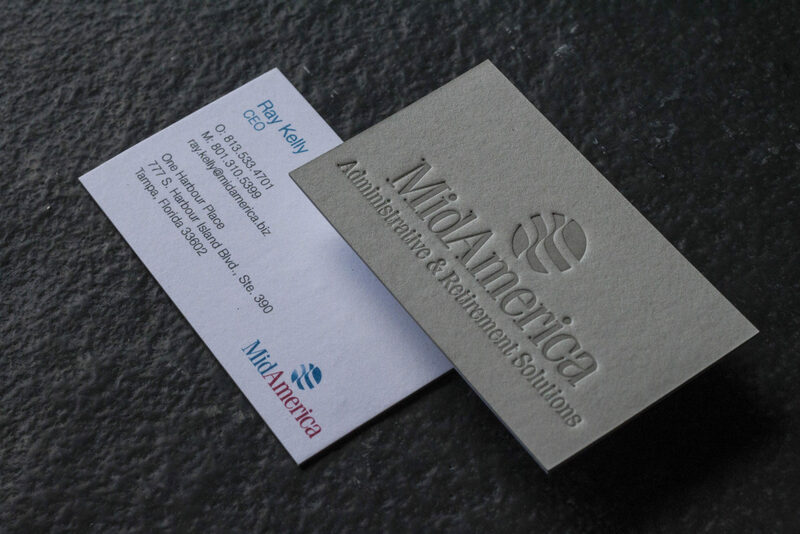 And a fitting way to connect with MidAmerica’s customers.